Do you dream of starting piano lessons, but worry that you’re too old, or too busy, or lack the discipline to focus and learn to play? These are some of the common excuses that might keep you from learning piano. In this month’s article, Elena Stabile, one our awesome piano instructors, helps us debunk a few of these excuses and myths. Most everyone has thought about taking piano lessons at one point or another, but there are some pervasive myths and excuses out there that keep new students from taking the first step to actually doing it. We’re going to address these five myths and help you make an informed decision about taking piano lessons. If you’re unfamiliar with piano lessons, you may imagine sitting at the piano with a mean teacher who keeps yelling at you to play the same scale over and over. The truth is, most of us are far from scary! Learning an instrument can be a challenge, but it’s an extremely rewarding challenge. As piano instructors, it’s our job to make that journey as fun as possible! Different instructors have different techniques for accomplishing this, so it’s important to find someone who is a good fit for you and your learning style — and who also understands your goals. At North Main Music, we encourage you to take an introductory lesson as a way to get a sense for an instructor’s teaching style. Yes, there are some things that everyone needs to learn — such as theory and scales. But learning these things doesn’t have to be boring! What if there’s a way to show you how scales fit into your favorite rock or pop songs? And how knowing music theory will empower you to quickly learn the songs that you love? Even when you’re learning things that seem difficult and less fun, work with your instructor to find creative and practical ways to incorporate this new knowledge. You’ll be amazed at how easy it becomes to learn — and how much fun you’ll have doing it! Age really doesn’t matter. It’s about your passion for music, desire to learn, and your dedication to investing time in practicing and honing your craft. So if you’re an adult or teen who wants to take piano lessons--do it! It’s never too late to start learning the piano. In the 21st century we don’t *have* time, we *make* time for the things that matter most to us. 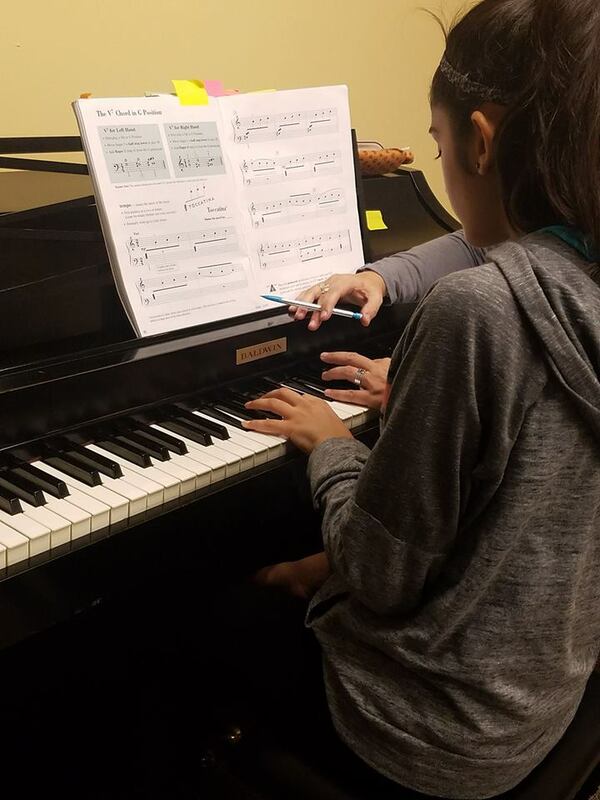 “‘The excuse of ‘not having time to practice’ falls in a similar vein,” said Elena Stabile, North Main Music piano and voice instructor. “People sometimes expect that being a musician means practicing for hours a day. Sure, that's what you'll do if you're a full time concert pianist, but we don't expect that from our students, especially if they do multiple activities or work full time. Teachers help their students find ways to best and most efficiently practice, given the demands of their lives and what they're currently working on. The approach is totally individualized.” Many North Main Music instructors also encourage their students to record their lessons on their smartphone. Doing this provides a great resource for practicing at home because it reinforces what you learned during your lesson. At North Main Music, we have daytime, evening, and weekend lesson times available and we’re open on most holidays, too. In addition to having a variety of lesson times, many North Main Music instructors also encourage their students to record their lessons on their phone. Doing this provides a great resource to take home and use to reinforce what you learned during your lessons. Give us a call or send us an email to discuss your schedule and how we can work with you to find a lesson time that fits your life. The piano is an impressive instrument to behold both visually and musically--especially a baby grand! Although nothing may compare to playing a well-tuned, full-sized piano, the truth is, you don’t have to own a piano to start learning. There are many different types of affordable keyboards that are great to start with, especially for beginners. If the student is a child, we actually recommend taking this route if you don’t already own the piano. Even kids who love music will often want to try a few different instruments before settling on one. Starting with a keyboard will allow them to try piano without having to make a serious financial commitment. There are many great websites where you can find amazing deals on lightly-used keyboards. If you decide you would rather buy new, most music stores offer these options as well. The bottom line is, no matter what you start learning on, the most important thing is to get started! While most people are naturally inclined one way or the other, it’s equally important for a student to develop both skill sets. Some instructors like to incorporate ear training exercises for their students, in addition to note reading. This helps to create versatile, well-balanced musicians who can adapt to any situation. Your ability to hear what music should sound like will also prove extremely valuable in correcting mistakes as you are practicing on your own throughout the week. So to sum things up, playing by ear will definitely not hinder your progress in learning piano. In fact, quite the opposite! Piano lessons can add great enjoyment to your life, regardless of whether or not you aspire to be a professional musician. If you’ve let piano lesson myths keep you from starting lessons in the past, maybe it’s time cast excuses aside and give it a try! Happy playing! This article was inspired by and adapted from this article on takelessons.com. Elena is a professional singer, with a performance background in both voice and piano. 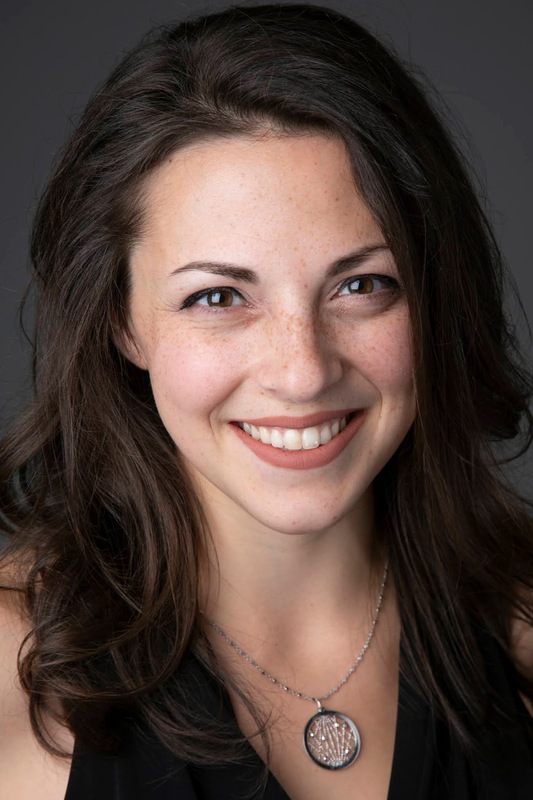 She studied at Lawrence University and Conservatory of Music (BA and BM) and the University of Tennessee Knoxville (MM), and got her start teaching during undergrad as a music theory and aural skills teaching assistant and tutor before moving to private voice and piano. Elena's performance experience is primarily in opera and in contemporary classical music; and she also frequently sings in churches as a soloist or as a part of an ensemble. Elena is new to the area--she moved to Nashua in July 2018--and she's very happy to be working at North Main Music. "Working at NMM has provided me with a very positive and supportive teaching environment," said Elena. "I love seeing the growth my students have already experienced in such a short time, and I'm excited to continue working with them and to help them achieve the goals we set out for them when we first started." Are you looking for Music Lessons in the Nashua or Manchester, NH area? North Main Music offers private, weekly music instruction in a clean, safe, fun, and family-oriented environment. Our studios provide you with a comfortable setting so that you can feel free to focus on your music. You’ll feel relaxed here. Each studio room is private, air-conditioned and heated. With upright pianos, keyboards, drums, electronic drums, and amps, we have all the gear you’ll need for your music lessons. Copyright 2013, North Main Music. All rights reserved.. Simple theme. Powered by Blogger.